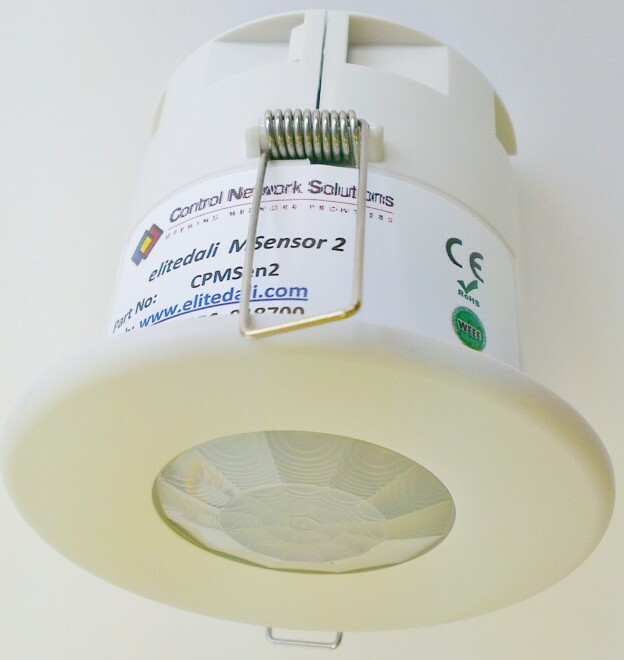 The low cost MultiSensor2 combines presence/absence detection with daylight measurement for DALI Open Standards intelligent lighting networks. Available as a licensed option for elitedali for Niagara solution, version v2.0.6 and later. 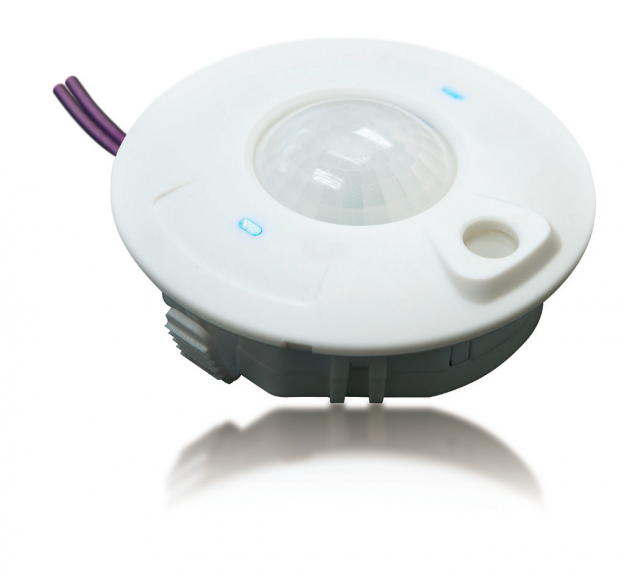 The built-in intelligence of the DALI MSensor3 gives a DALI smart lighting system the ability to detect presence/absence and measure lighting levels. This North American approved unit is available as a licensed option for elitedali for Niagara solution, version v2.0.6 and later. Leidos Engineering now certified to deliver Niagara DALI® intelligent lighting solutions! Leidos Engineering is now able to deliver world class DALI intelligent lighting control solutions based upon Tridium Inc’s Niagara building management and automation platforms and Control Network Solutions (CNS) elitedali solution, to their blue chip global customers. The new Standard Bank office in the Rosebank business area of Johannesburg, South Africa, known as 30 Baker Street, is using technology based on the Niagara Framework® in an innovative approach to lighting control. The Standard Bank office was designed to be highly efficient and low carbon. It has been awarded a 5-Star Greenstar Design Rating by the Green Building Council of South Africa – putting it into the top ten of the country’s most sustainable buildings. The 65,000m2 office development has a nine-storey east wing and an eleven-storey west wing joined by a central atrium. The building will house 5,000 Standard Bank staff. Did you know that energy use is many times the largest single line item on an expense statement, according to Schneider Electric? As of July 1, 2014 all construction projects new and remodelled must have mandatory lighting controls in the State of California, verified by State registered Acceptance Test Technician! Jack Yapp, VP National Lighting Contractors Association of America (NLCAA) a new non-profit organization explains – We are promoting hands on training along with classroom presentation on lighting control installation. We are in the process of having our curriculum accepted by the California Energy Commission to become Lighting Control Acceptance Test Technician Certified Provider. As of July 1, 2014 all construction projects, new and remodelled, must have mandatory lighting controls. They must have a State registered Acceptance Test Technician verify that the controls comply with the energy code standard. Click here for more information on how Niagara SI and Distributor Partners can acquire this new accreditation. CNS adds additional language skill resource for 2014! elitedali Niagara™ for DALI® lighting solution is used to control, maintain, manage and visualise 4,500 DALI light fixtures and 2,500 DALI multisensors to provide efficient and highly effective fully integrated lighting. Tridium’s Niagara web technology convergent BMS/BAS platforms are used to entirely commission both HVAC and lighting systems as well as control, maintain, manage, visualise and analyse both systems. The entire Niagara DALI lighting solution and BMS was successfully delivered by Landis & Staefa, one of CNS’s Certified elitedali Partners in the region. Landis & Staefa are one of a rapidly growing group of global Niagara System Integrators successfully delivering such DALI lighting solutions around the world, in addition to their traditional BMS/BAS products and services. Is the advantage to having motorized exterior shades worth the cost of installation, integration and maintenance? Zachary Denning, Controlco Inc, CA – Explores The Tridium Revolution and how many building owners are gaining new control and flexibility over their automation systems through low capital costs. 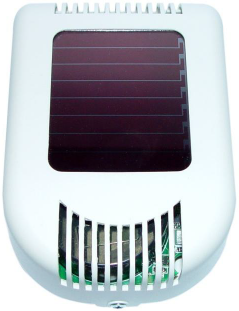 A world first, this easy to install CO2 sensor is powered via ambient indoor light making it totally maintenance free with no batteries required. 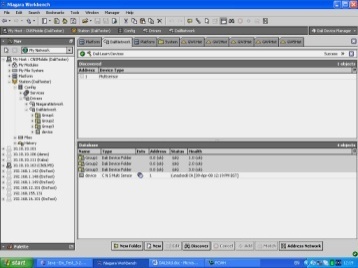 Supports the open EnOcean standard (ISO/IEC 14543-3-10) for seamless connection with Niagara BMS using using the cns-enocean Connectivity Kit. This shows what Niagara System Integrators are delivering today with native Niagara DALI solutions. Niagara BMS project value 0.75M USD, Niagara DALI project value 1.2M USD! Which part of the lighting controls business do you not want to participate in, today? elitedali for Niagara DALI lighting solution delivered by one of South Africa’s leading Niagara System Integrators secures Green Rating ahead of expectation. The new 65,000m2 building at 30 Baker Street has been awarded a five-star design rating by the Green Building Council of South Africa. A four-star rating was targeted and Standard Bank Group is still on track to achieve this in terms of the final “As Built” certification. The Rosebank building is due for completion in May 2013, which is when the first of approximately 5,000 client-facing staff will start to occupy the premises in a phased-in relocation process. eNodeIV Lon/IP routers light up Renzo Piano’s architectured Shard, EU’s tallest building! The Shard an 87 storey iconic building standing more than 309 metres tall officially opens today. It represents an £450M investment in the city of London creating a vertical city of multi-use space including hotel, restaurants, retail, office and apartments. Delmatic, was chosen to deliver their lighting control solution to the main shell and core of the building which includes eNodeIV Lon/IP 852 Routers created by Adept Systems Inc and supplied by Control Network Solutions Ltd. These Lon/IP routers seamlessly create LonWorks® networks that extend across Ethernet infrastructure, offering maximum network performance in a very compact solution for the wide area networking of Delmatic’s LonWorks lighting solution. For more information on how your LonWorks installations can benefit from eNodeIV Lon/IP routers email or contact us directly. This Niagara Forum 2013 presentation demonstrates with hard fact how “Convergence” is making an immense difference to those System Integrators who understand the need to broaden their skills and offerings to meet their business objectives, deal with emerging new threats to their business and finally deliver what the End Clients have been asking for over two decades and failing to get, until now! The world of smart building controls in terms of who delivers what and what it is they are delivering is changing fast. The world of convergent technology solutions will dominate and that convergence is driving business change from the End Clients to the Solution providers. Some will see this as a threat, others as an opportunity. The entrepreneurs in the System Integration industry will have a great opportunity to achieve what the IHS Report “Can you see the light” last year described as “Super Integrator status” creating significant growth in revenues and profits. Those that do not look above the parapet will be left chasing left over business with ever diminishing returns. Worth considering “Is Convergence Good for Business” article just last month. Further if the current System Integrators don’t develop their skills fast then they may find that the world of Electrical Contracting and traditional Lighting controls companies have to become yet another major threat to the old order. The elitedali Multidrop Connectivity Kit connects DALI networks directly to any suitable Niagara platform. Each licensed kit, comprising software and interface module, enables the connection of a single DALI channel, circuit or network of up to 64 DALI devices. Convergence is it good for business? 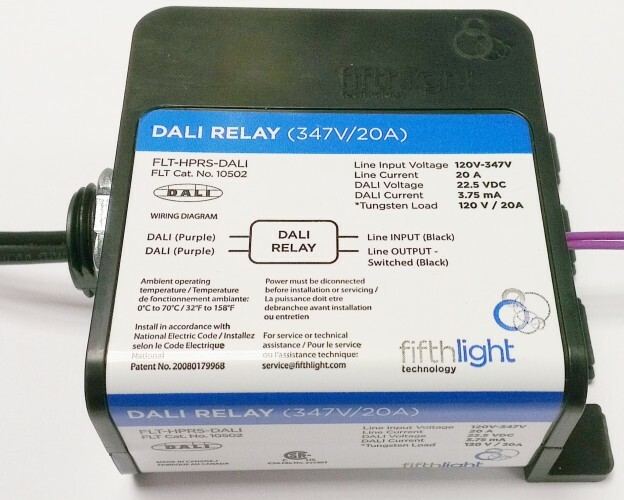 This Hi-Power Relay (for North America) provides on/off control and DALI network connectivity to conserve energy and manage non intelligent lighting. 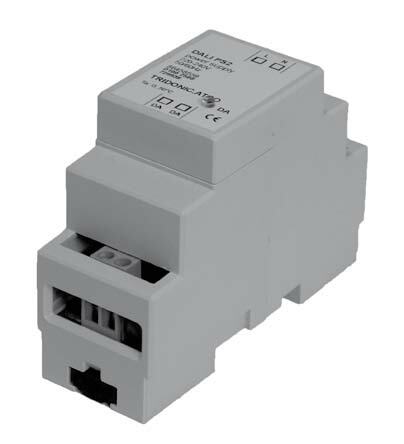 Manufactured by Coopers/Fifth Light Technology Inc., this addressable field relay is available for use with elitedali for Niagara, v2.0.6 and later. Most parking lots, facilities, and garages are illuminated by older high-intensity discharge (HID) lighting technology without any energy-saving controls. When installed correctly, state-of-the-art energy efficient lighting technologies can last two to five times longer than traditional outdoor lights. These lighting systems also pay for themselves quickly by cutting energy costs up to 70% and maintenance costs up to 90% compared to the older lighting technologies they are replacing. This DALI Network Repeater Unit enables a single DALI network of up to 64 devices to be extended from 300m (984ft) to 600m (1,968ft) in length. This compact, DIN rail mounted unit is part of a range of DALI products for use with elitedali for Niagara, v2.0.6 and later. Craig DiLouie considers that Lighting Rebates are Enjoying an Upswing! Rebates and incentives offered by electric utilities and regional energy-efficiency organizations are currently enjoying a major upswing, providing a significant resource that can reduce the cost of investing in energy-efficient lighting. According to the Consortium for Energy Efficiency (CEE), energy-efficiency rebate and incentive programs reached $6.8 billion in 2011, up 26% from 2010 ($5.4 billion) and 55% from 2009 ($4.4 billion). Utilities and other organizations now offer programs covering approximately 80% of the United States. The Electrical Contractor Magazine: the Official Publication of the National Electrical Contractors Association. As we transition to more complex, higher performing, and energy efficient buildings, it is apparent that traditional building management systems are not up to the task of monitoring and managing today’s building operations. What are the shortcomings of the legacy BMS? The list is quite long but the major items include limited integration capabilities, inadequate and elementary analytic tools, proprietary programming languages, a dearth of software applications and legacy user interfaces. LED, Fluorescent, HID or Incandescent light source for public and commercial buildings, how do they compare today? This compact Power Supply Unit supplies a maximum of 250 mA at 16.0 DC to a single DALI network. Manufactured by Tridonic AG, it is part of a range of DALI products suitable for use with elitedali for Niagara, v2.0.6 and later. 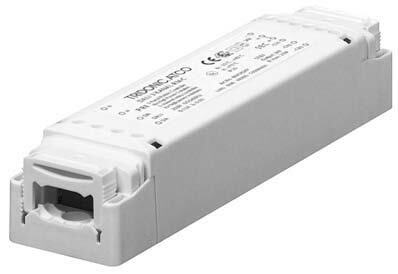 This compact DALI Power Supply Unit supplies a maximum of 250 mA at 20 VDC to a single DALI network. It is part of a range of DALI products suitable for use with elitedali for Niagara, v2.0.6 and later. 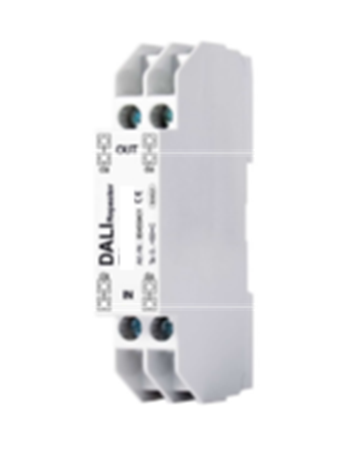 This 3-Channel DALI Relay Module is used to control relay switched loads such as non-intelligent lighting and other non-lighting loads. 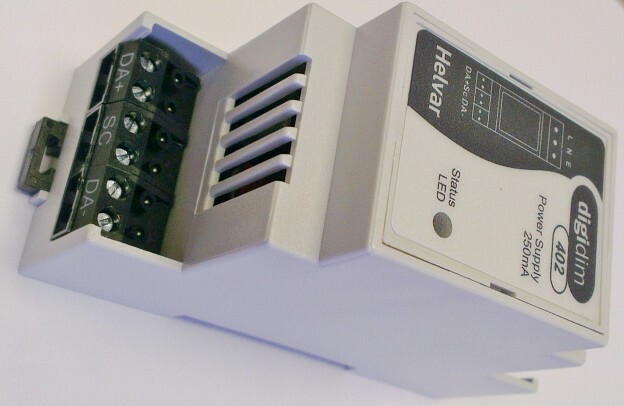 Any number of these elitedali 3-Channel Relay Modules can be used in an elitedali for Niagara solution DALI network, v2.0.6 and later. Are you looking for a non-proprietary, totally open, complete smart DALI lighting solution for Niagara platforms? Do you want to be able to choose which open standard products that may be manufactured locally to you and will therefore help your own local economy? Do you want the option not to be “locked in” to one lighting supplier for years? If the answers are yes, please contact us for further information. Discover a new, innovative concept for intelligent DALI lighting that can put you, the end client, in control.